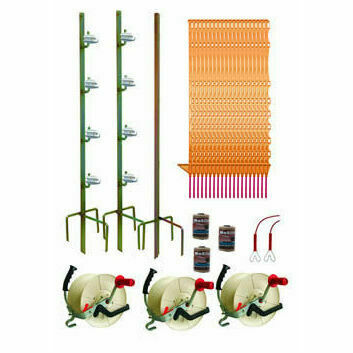 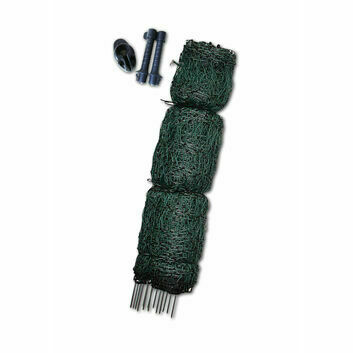 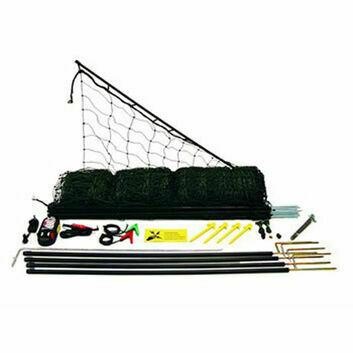 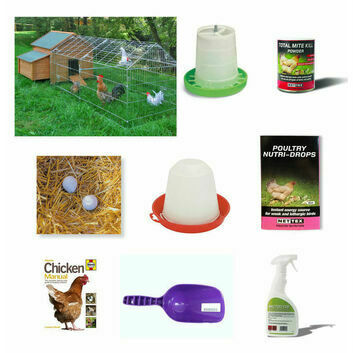 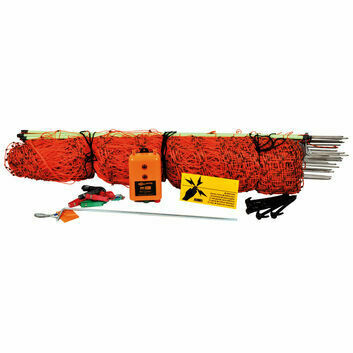 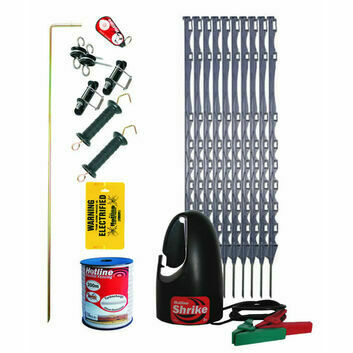 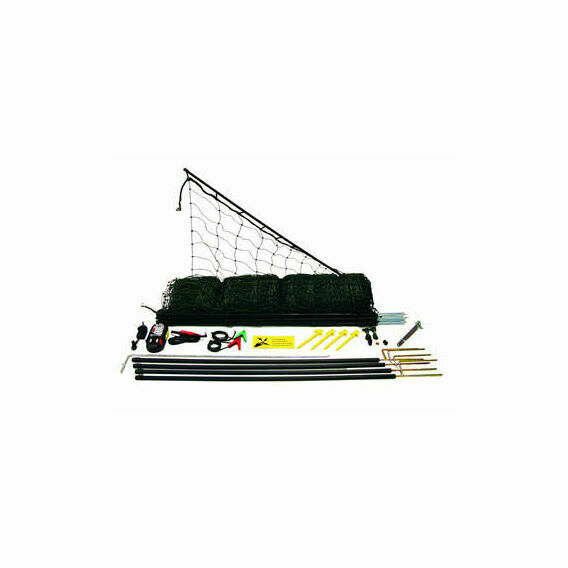 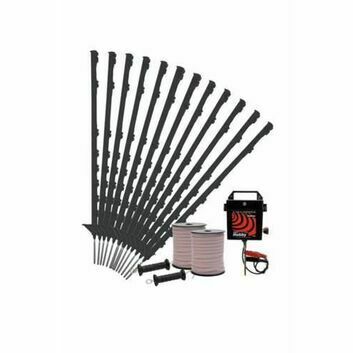 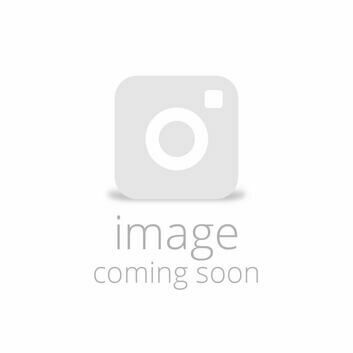 This handy boxed poultry kit Includes 50m of green poultry netting with posts, a HLC80 Gemini energiser, four rigid corner posts and an earth stake. 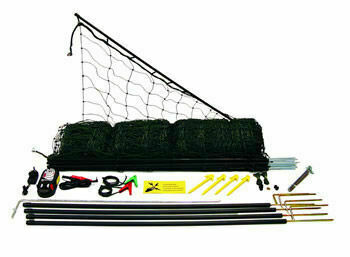 Can be powered from a 12v battery or from the mains. 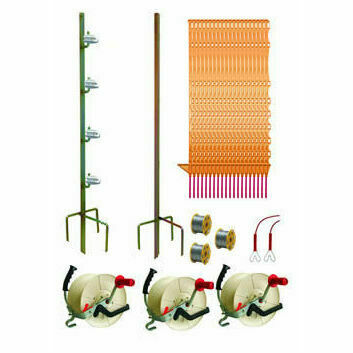 All that this kit requires is a 12V battery or some HT lead out cable if the unit is to be run from the mains.